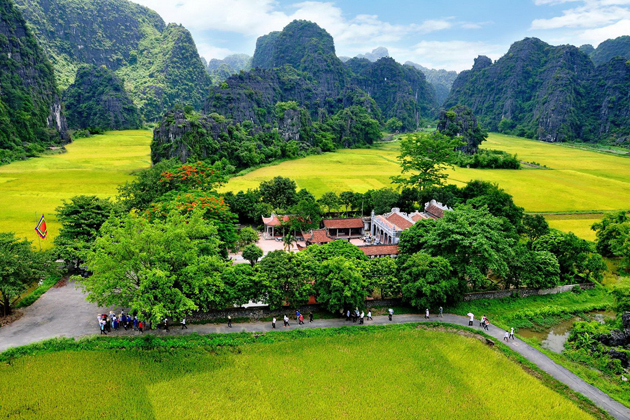 Hoa Lu ancient capital belongs to the tourist complex of Trang An, a very famous tourist attraction in Vietnam, recognized as a UNESCO World Heritage Site in June 2014. 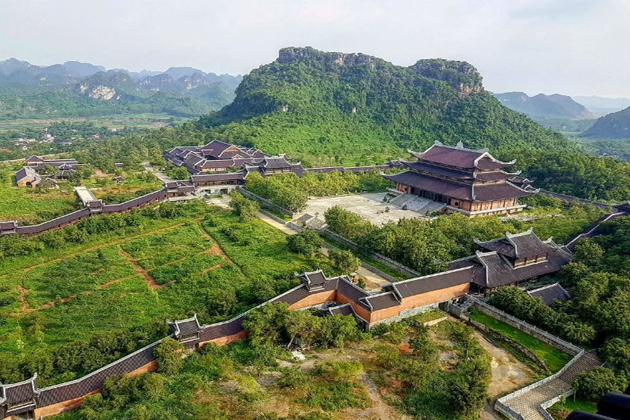 Hoa Lu Citadel not only shows the majestic beauty of the surrounding nature but also the history of Vietnam in the 10th century, where many important events of the country took place. Today, Hoa Lu ancient capital is located in Truong Yen Commune, Hoa Lu District, Ninh Binh Province. 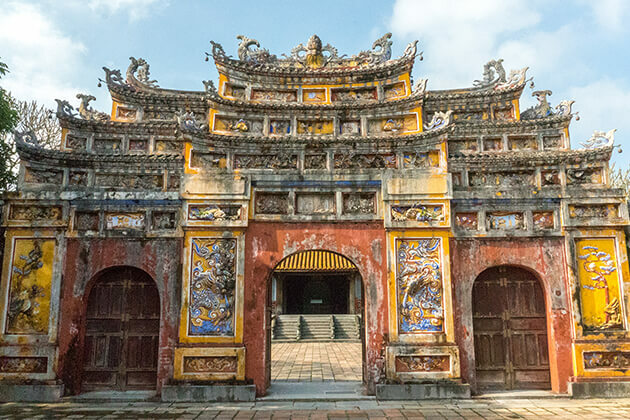 The monuments of Hoa Lu ancient capital will tell you the story of the first three centralized feudal states of Vietnam: the Dinh dynasty, the Le dynasty, and the Ly dynasty. 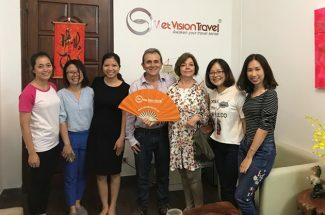 If you’re looking for a proper destination with pleasant and mild climate in your Vietnam vacation, why not visit the ancient capital of the first three centralized feudal states of Vietnam, discover a little history of this country and enjoy the beauty of the old Asian architecture of the tenth century? Hoa Lu ancient capital history is a long interesting story. It started from the mid-10th century when northern Vietnam led its country independently of the Chinese dynasties. However, due to political separations, the country was divided into 12 parties led by 12 different generals. These different kingdoms had continually fought and the country had remained divided for many years. Then there was a man named Dinh Bo Linh who had assembled an army to fight the 11 other armies. This man was very talented and defeated all the generals. Finally, in 968, he reunited the country, became the king, set Hoa Lu as the capital, and named the country as Dai Co Viet, which means the great country of the Viet people. It is the first absolute monarchy of Vietnam. After 12 years of rule, Dinh Bo Linh was murdered. Many details surrounding the assassination are still controversial to this day. 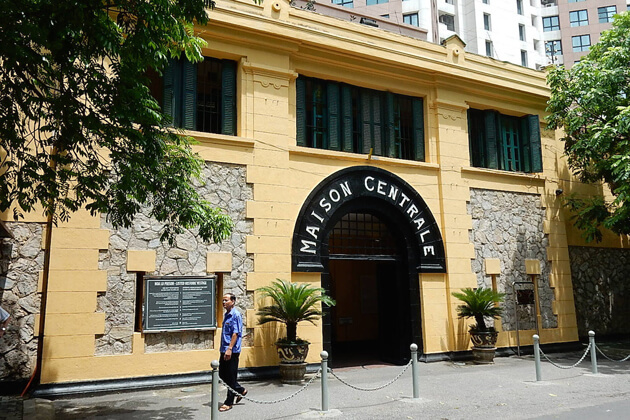 History does not even identify the murderer, but it could be about the plot of one of Dinh Bo Linh’s five women, Ms. Duong, and a general named Le Hoan. It has been said that Mrs. Duong and Le Hoan conspired against the king. After the death of King Dinh Bo Linh, the king’s son and Queen Duong became the king, but he was only a six-year-old boy. King Le Hoan was also a talented general. 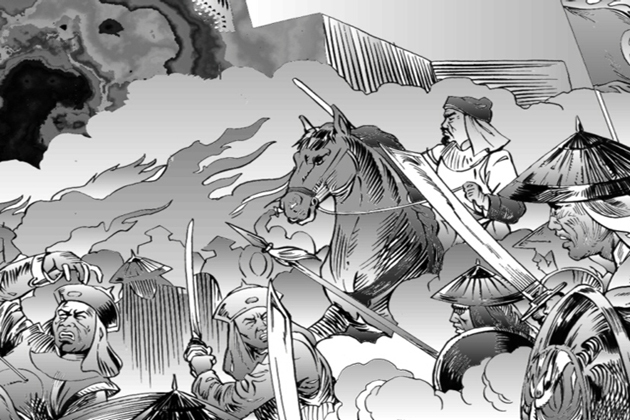 His army pushed Tong’s army back to the border. Until 1009, a general of the first dynasty of the name, Ly Cong Uan, was enthroned while the family Le failed to lead the country successfully. Then Ly Cong Uan took the throne and became the first king of the Ly dynasty. In 1010, King Ly transferred the capital of the country from Hoa Lu to Dai La and changed the name from Dai La to Thang Long (which means flying dragon), which is the current capital of Vietnam in Hanoi. As mentioned above, King Dinh is the king of the first centralized feudal state of Vietnam. He reunified this region. Therefore, he is a very important figure in history. The inhabitants built this temple to commemorate and worship him. In King Dinh temple, the inhabitants also worship his sons, his wives, and his subordinates. This temple faces the mountain Ma Yen, which is the tomb of King Dinh. This temple is only 500 meters from the temple of King Dinh and it is the place to worship King Le, the first king of the second feudal state of Vietnam; Pham Cu Luong, the general who helped the king takes the throne; Le Ngoa Trieu, the last king of the first dynasty; and Lady Duong, the king’s wife. This temple is a little bit smaller than the one of King Dinh. 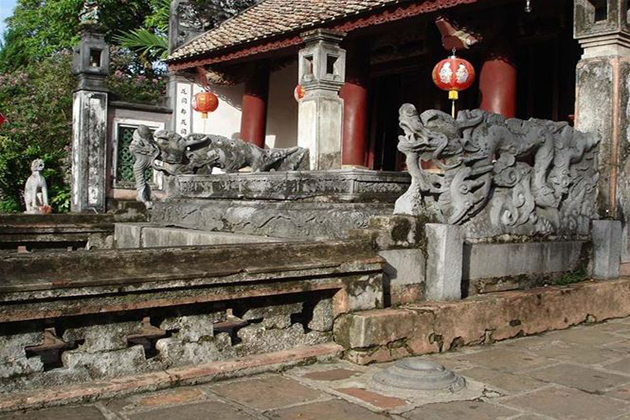 These two temples were built paying particular attention to ancient Vietnamese architecture. 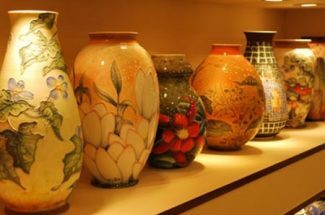 Most of the statues were carved hundreds of years ago, illustrating the high quality of Vietnamese sculpture. Nhat Tru Pagoda was built in the 10th century, which means that it is now over 1000 years old. This pagoda was used as the place of meetings between the monks. At that time, monks held a very high class in society and were generally invited by the king to discuss national problems. Nhat Tru means a column because this pagoda has an eight-sided column presenting the writings of the words of the Buddha. About 2500 characters were written on these eight faces. It is said that the column was created in the 10th century. It is one of the Vietnamese national treasures. 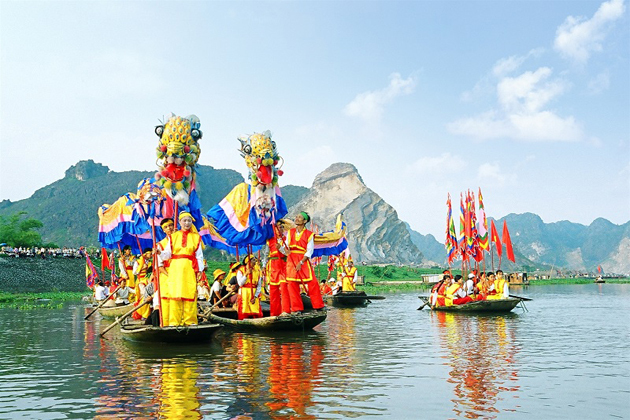 March 8 – March 10 is the time of the traditional festival of Hoa Lu ancient capital to honor the kings and national heroes that have built and developed Hoa Lu capital, Dai Co Viet in the 10th century. Hoa Lu ancient capital festival consists of two parts. Besides the ceremony, the festival with traditional games such as boat racing, wrestling, cheo singing … take place in, which make the atmosphere extremely jubilant and bustling. After discovering Hoa Lu ancient capital, in the Trang An complex, you can also visit other beautiful places. 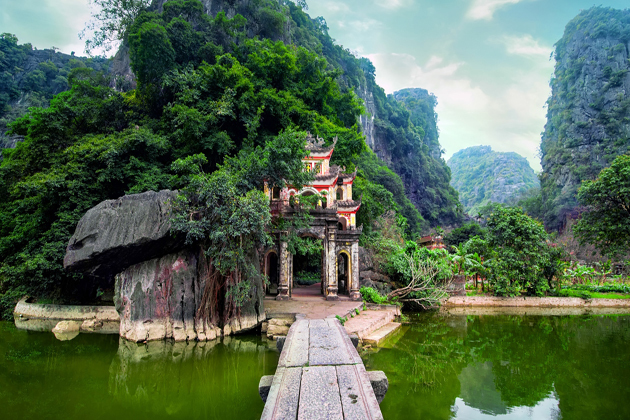 Tam Coc, which means three caves, is also known as Ha Long Bay on the ground. The three Tam Coc Caves were created by the Ngo Dong River flowing through a mountain. You can take a boat to cross these caves and observe the majestic stalactite formed by nature. Bich Dong means the celadon cave, in reference to the celadon color of the stalactite. It is recognized as the second largest cave in Vietnam (after the Huong Tich cave in the city of Hanoi). In addition, Bich Dong Pagoda is also a famous attraction together with Mua cave – the most visited places in the Tam Coc area. The ecotourism area of Trang An will also take you to many wonderful caves formed by the river. You can also visit the temples and pagodas of this region. Bai Dinh Pagoda is considered the largest one in Vietnam with an area of about 539 hectares, including nearly 30 hectares of the old pagoda and about 80 hectares of the new one. 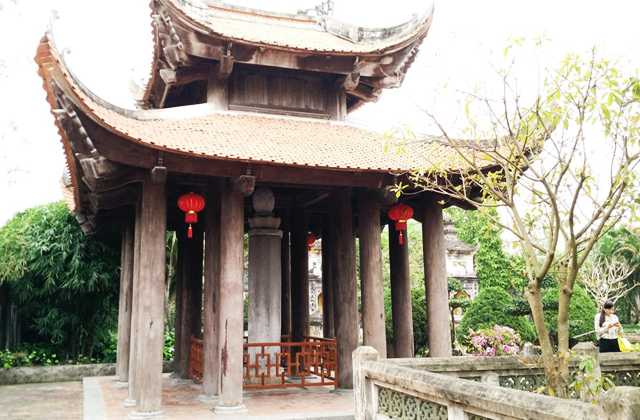 The ancient Bai Dinh was built in 1136 and rebuilt in 2003. Bai Dinh pagoda has many records in Vietnam and Asia: the largest golden copper Buddha statue in Asia, the longest hall of Vietnam entrance and the highest Buddhist tower in Asia. 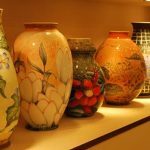 What to Eat in Hoa Lu Ancient Capital? 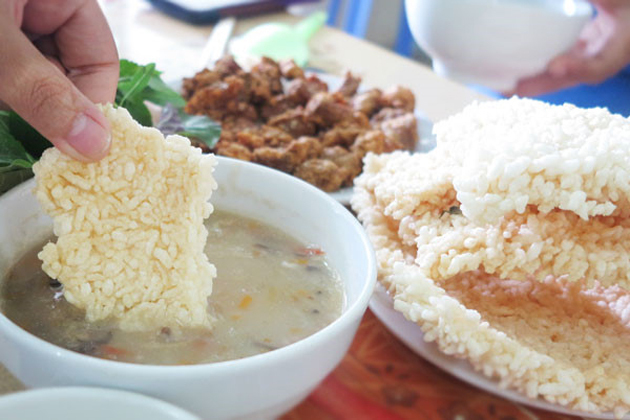 Fired rice: a famous specialty of Ninh Binh. Rice is crispy with light yellow color and served with a special sauce that makes visitors eat without feeling bored. Goat Mountain Meats: Mountain goats in Ninh Binh are processed into many attractive dishes such as goat with lemon juice, steamed goat, goat spring rolls, and goat pudding… not only delicious but extremely nutritious and good for health. 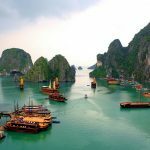 Currently, in Hoa Lu and Ninh Binh, there are many hotels, hostels, and homestays offering good services at reasonable prices. 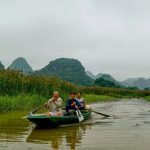 Around Hoa Lu and Ninh Binh, you can easily find a comfortable place to rest. 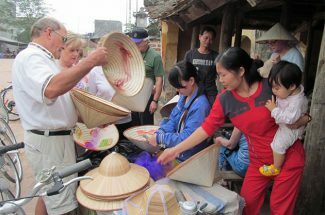 Hoa Lu Ninh Binh is a spiritual tourist destination, so when you come here you need to dress politely. Visiting King Dinh and King Le temples, you need to be gentle to preserve the honor as well as burn incense to pay homage to the kings who have merit with the country. Must follow the guidance of the monument management or the tour guide. Must throw the garbage in the right place, not littered indiscriminately. If you go alone, you should preview the map to more convenient for your discovery journey. You can talk directly with the management of temple relics to find out more about the history, cultural values, architecture … of the relic.